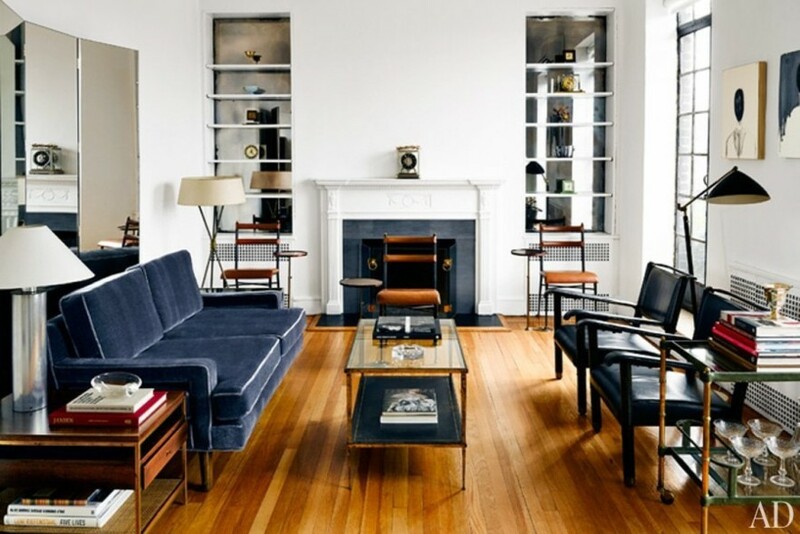 The NYC-based designer Thom Browne's home decorating style is just in line with his fashion design style. It's clean, uncluttered and simple with great details. Thom Browne is a NYC-based menswear brand by the innovative designer Thom Browne. His signature shrunken suits has changed the way men dress. The influential silhouette - the narrow tie, cropped trouser, and the tight jacket - turns to be a classic and modern aesthetic. 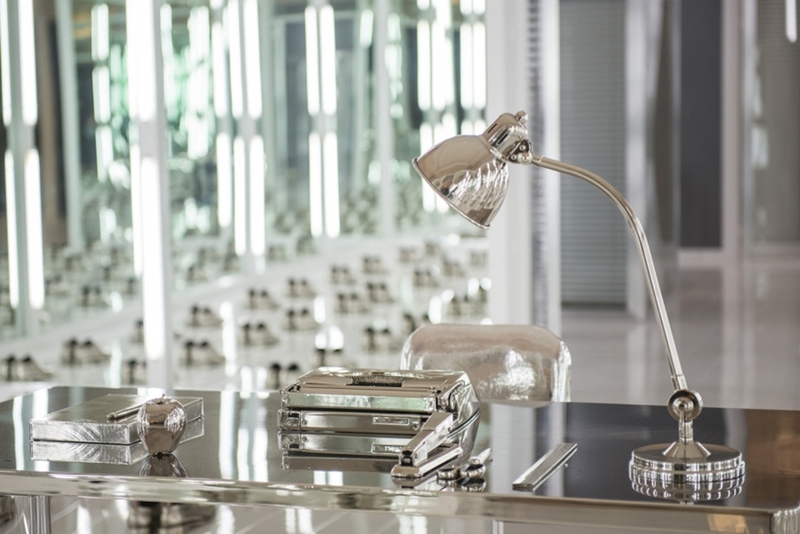 Everything in Thom Browne's apartment is perfectly organized. Sharp tailored, simple and classic, his home is exactly like his fashion brand. Even his military-clean bedroom, the sheets is precisely done. 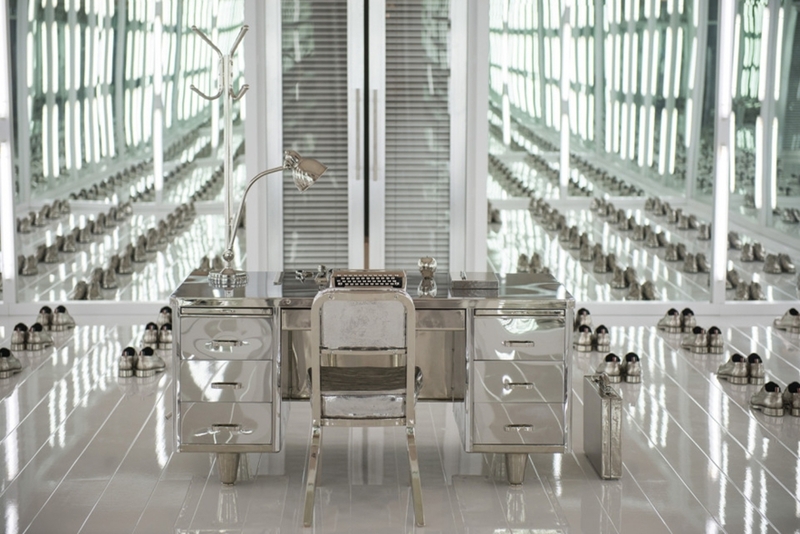 Decorating with lots of modern furniture, Thom Browne also uses traditional details to balance the atmosphere. With the vintage bar cart and lacquer screen, the apartment is a mix of cutting-edge and 1950s-1960s. 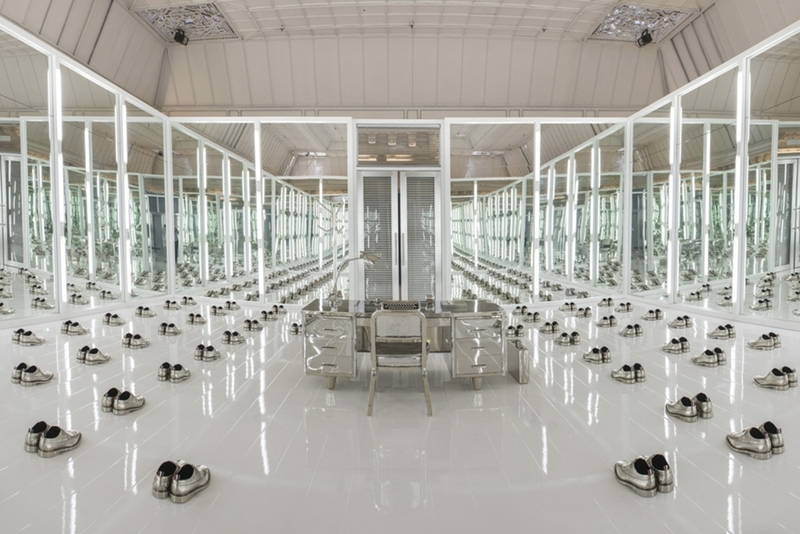 Lastly, take a look inside Thom Browne's pop-up installation in the historic Parisian department store Le Bon Marche. 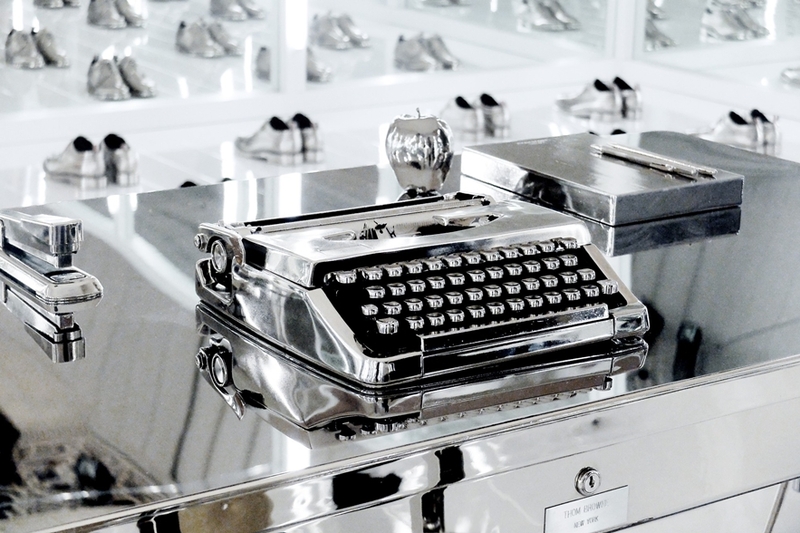 The '50s-inspired office theme setup was curated in an avant-garde futuristic way. 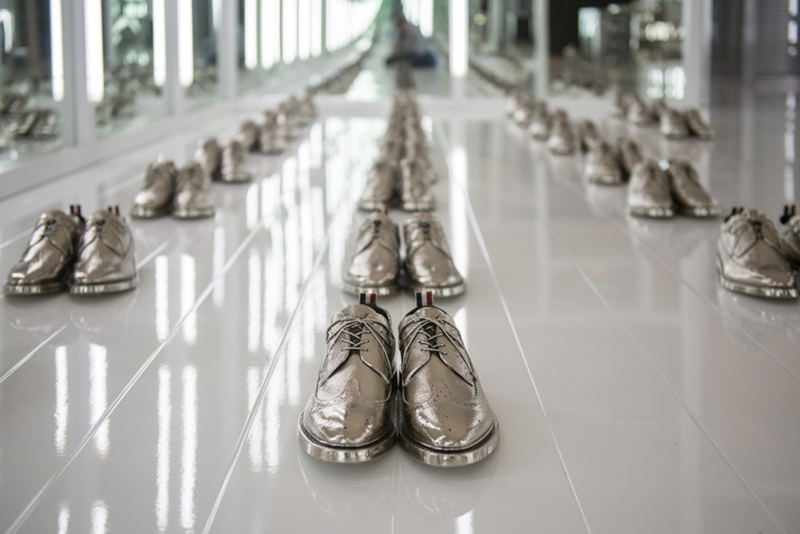 This creative installation brought us an engaging and visual experience.